If you are looking for an executive home in a semi-rural location, Cliffewood Rise may just be the place for you. Nestled in open countryside between Leeds and Sheffield, the village of Clayton West is one of many former textile mill settlements in the highly desirable Denby Dale area. 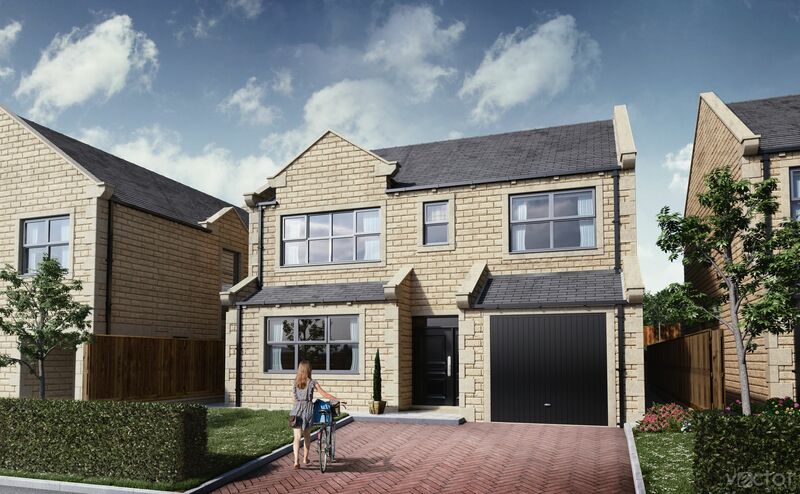 Set in an excellent location for commuting, Clayton West is within easy reach of Wakefield, Huddersfield, Leeds, Barnsley and Sheffield, but still remains surrounded by pleasant countryside. 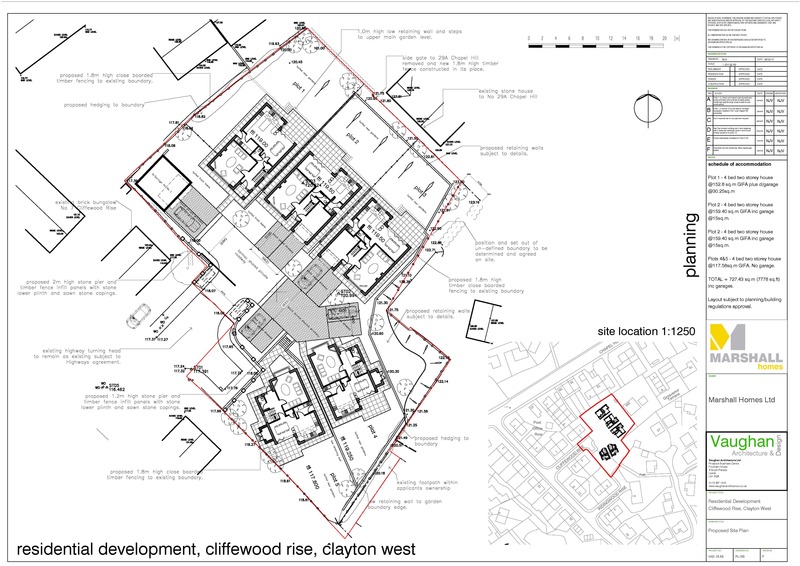 Cliffewood Rise offers a unique contemporary 5-property gated mews, consisting of 4 bedroom detached executive homes. 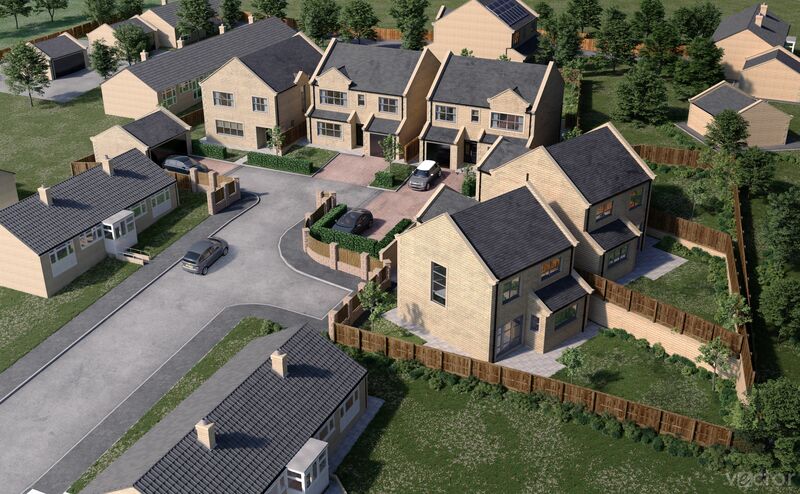 The homes are of a high specification and provide low maintenance and energy efficient solutions to modern living. As with all Marshall Homes, they have been designed to maximise living potential and storage space. 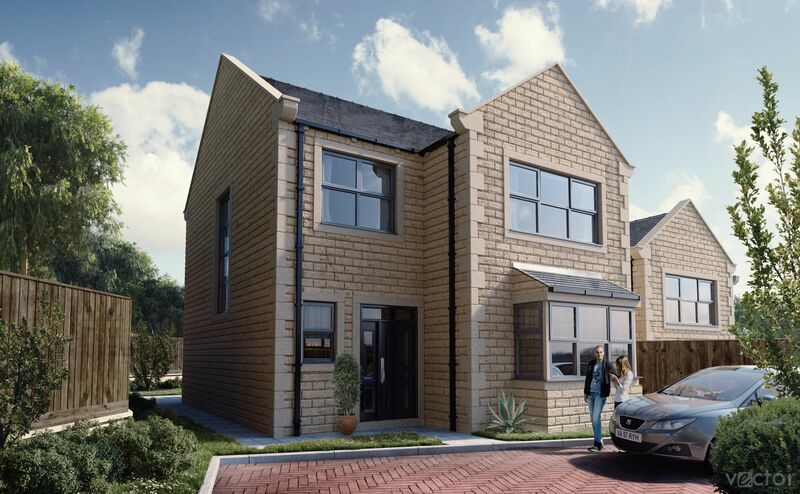 The site is beautifully positioned to take advantage of views of the valley up to Skelmanthorpe and Bagden Wood and is tucked away from main roads, devoid of passing traffic, yet only minutes from local conveniences. The houses benefit from timber frame construction with marshall cromwell pitched walling stone and marley modern roof tiles. All windows and doors have art stone heads, sills and jambs with double glazed upvc windows. We meet all current energy saving construction standards yet maintain traditional aesthetics. 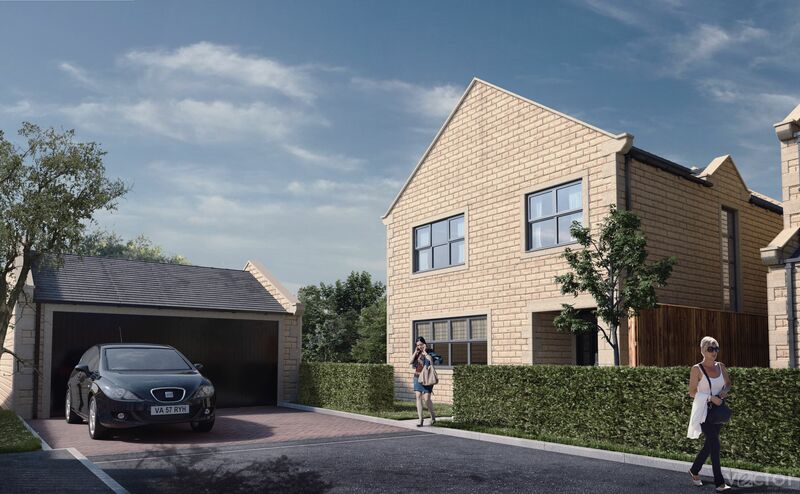 Plot 1, 2 and 3 benefit from garages and all plots have off-road parking spaces. Each has a patio area and the option to upgrade to a fully turfed lawn if required. In order to keep the site maintained there will be a small yearly charge towards the communal areas and the site entrance gates. Cliffewood Rise is situated in a superb area for living, travelling and for your convenience. • Good bus, air and rail transport links and less than 5 miles away from the M1 junction. • The towns of Huddersfield, Barnsley and Wakefield are under 10 miles away, Sheffield and Leeds less than 20 miles. • A choice of facilities including medical centres, swimming pool and leisure amenities, restaurants and pubs. • An excellent selection of nursery, first and secondary schools all within just a few miles. • Other local highlights include Yorkshire Sculpture Park, Kirklees Light Railway and Bagden Hall and Victorian Country Park. • … and with the great outdoors (The Pennines, Peak District and Dales) on your doorstep, what better place could you wish for?